Meet the new AeroPod Power Meter, Velocomp’s latest and greatest power meter! 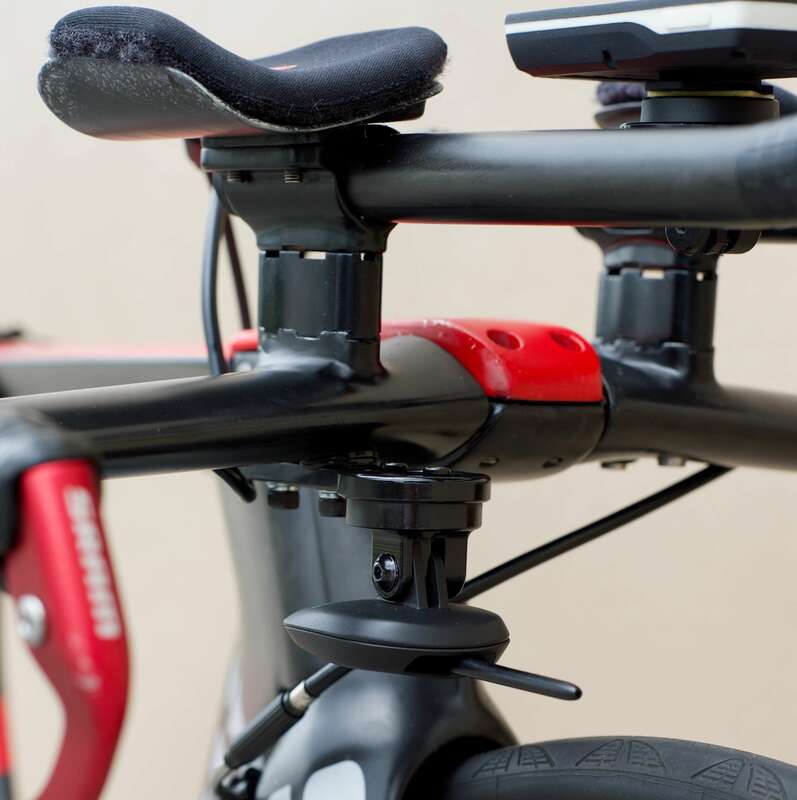 Like the previous generation PowerPod, the AeroPod mounts on your handlebars and uses opposing force technology to measure power. Once set up and configured, it is accurate and provides loads of data through its free Isaac software. In addition, due to its unique design, it is affordable, light weight, compatible with any bike and can be moved from bike to bike. 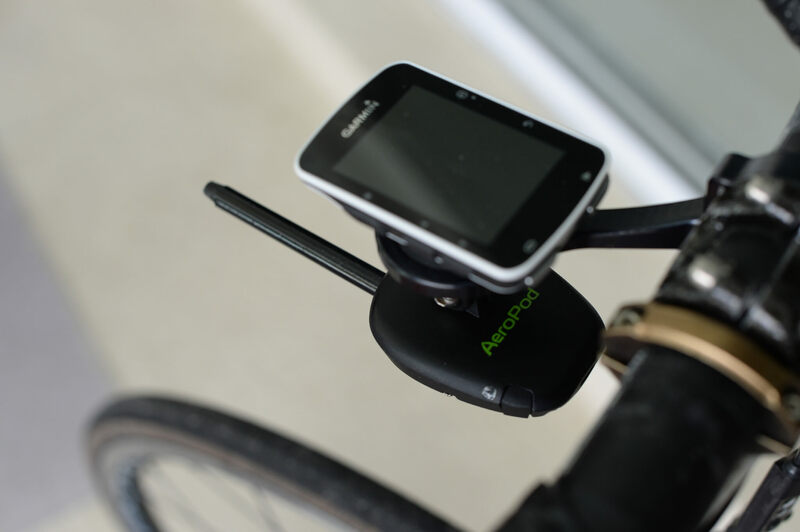 When used on its own, the AeroPod measures and sends power data directly to your bicycle computer or head unit. 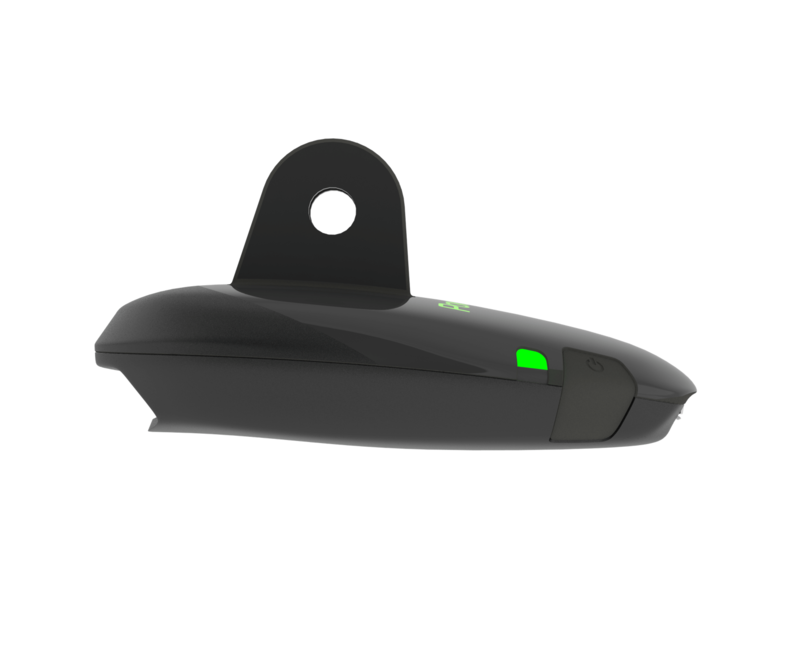 In fact, in addition to an all new slim design, the AeroPod uses a completely new generation of sensors, which makes it more accurate and consistent than its predecessor. 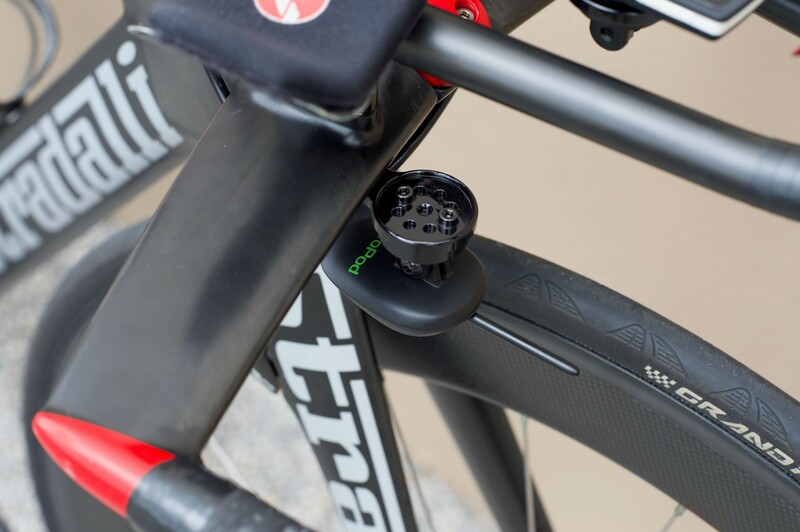 When used in conjunction with a direct force power meter (DFPM), the AeroPod Power Meter also provides real-time, aerodynamic drag data (or coefficient of drag – CdA). The AeroPod is the only device available that can simultaneously measure power AND aerodynamic drag! Cyclists are increasingly focusing on improving their aerodynamics. For a given watt, the more aerodynamic you are, the faster you will go. The AeroPod provides a real-time, 3-digit measurement of your CdA as well as on-the-road measurement of time advantage. This tells you how much time you gain or lose during your ride due to changes in your position. 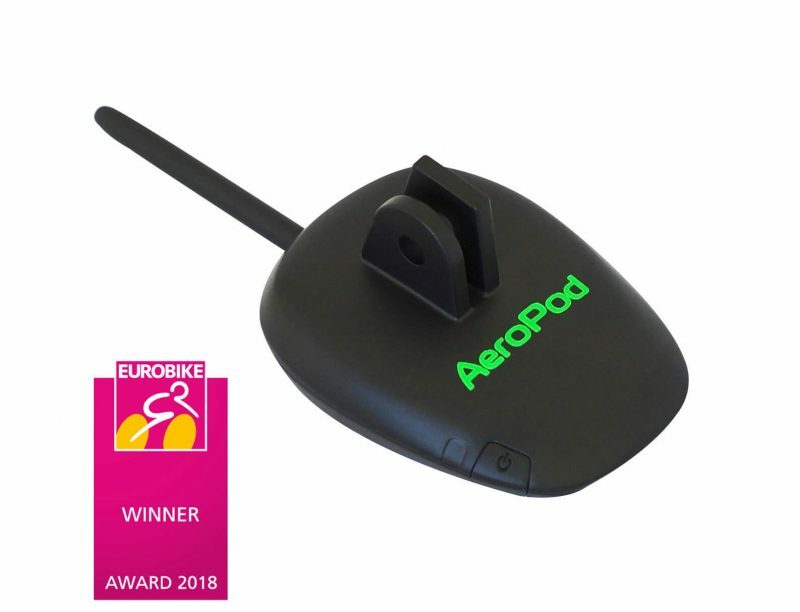 In addition, the Velocomp AeroPod features dual ANT+ and Bluetooth SMART, a USB rechargeable battery and comes loaded with Velocomp’s PowerStroke Software which allows you to see wasted watts, motion and distance. The only device available that can simultaneously measure power AND aerodynamic drag (or coefficient of drag – CdA). 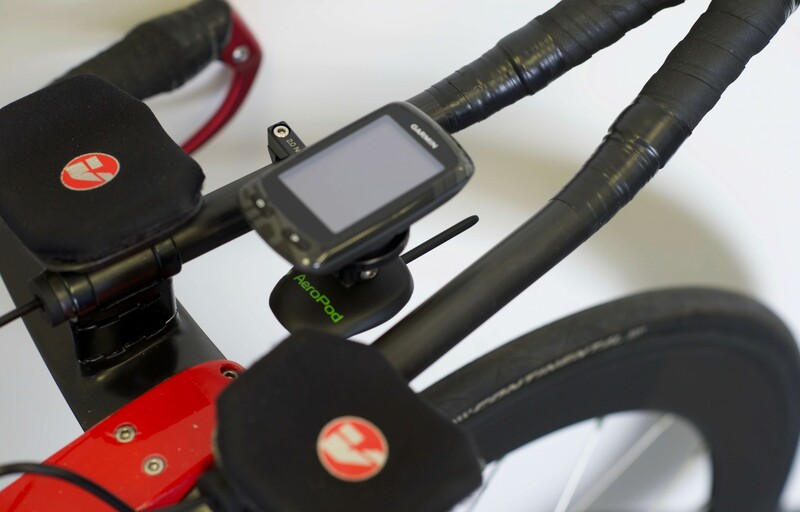 The power meter comes with both ANT+ and Bluetooth SMART. This means you can use it with a bicycle computer or smart phone. PowerStroke comes fully loaded on the AeroPod Power Meter, allowing you to analyze your pedal stroke in great detail. The AeroPod will work with any bike. In addition, you don’t have to change out any of your favorite components. Since the power meter attaches to the handlebars, it can be quickly and easily transferred from bike to bike. The AeroPod weighs just 40 grams, or 125 grams when paired with the Garmin mount. This is much less than some larger, crank-based power meters. A speed or speed/cadence sensor is required for basic use. We recommend the following sensors which you can purchase on this page along with your AeroPod. The AeroPod Power Meter comes with the Standard Mount. The Standard Mount works on 31.8 mm road and MTB bars. It mounts the AeroPod only and your bicycle computer would need to be mounted on its own mount, next to the AeroPod. 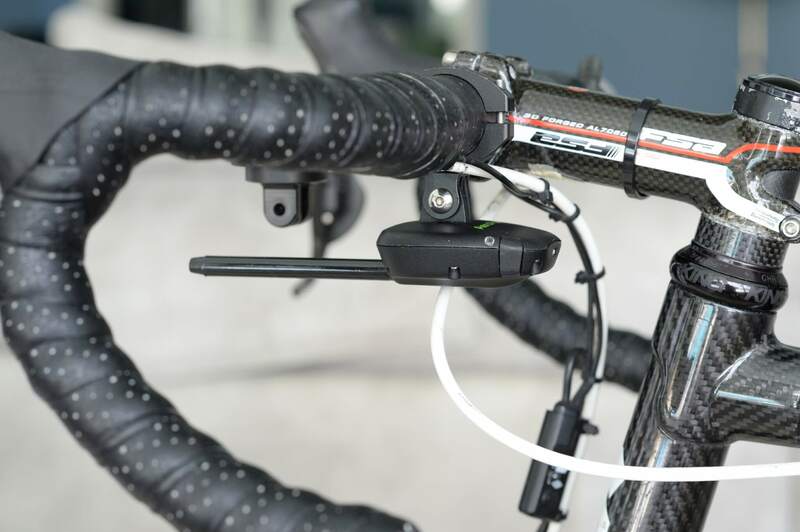 If you would like your AeroPod and Garmin to be on the same mount for a cleaner look, or have a TT bike, you can choose to purchase an upgraded mount for use with the AeroPod and/or Garmin head unit. Below, you will find all of the mount options based on bike type. Please also refer to the pictures at the top of this page where we show images of each of the 4 mount options. Note that you save $10 if you bundle the Velocomp AeroPod Power Meter with a Garmin mount.